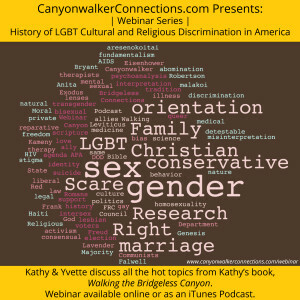 If the mission statement of Canyonwalker Connections — to encourage, educate, and engage in dialogue between the conservative Christian church and the LGBT community –resonates with your beliefs, please consider including this organization as part of your 2015 and 2016 donations. 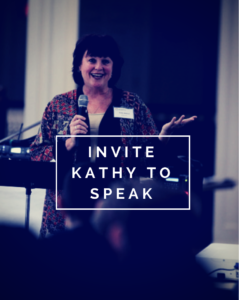 #GivingTuesday, December 1, 2015, instituted in 2012, is designated as a special day to donate to organizations. It was created in response to the consumerism and commercialization of the post-Thanksgiving season. 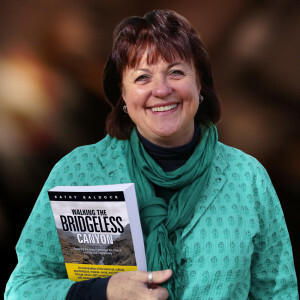 After Black Friday, Shop Local Saturday and Cyber Monday comes an opportunity to channel a generous spirit to non-profit institutions reflecting ones personal ideals. 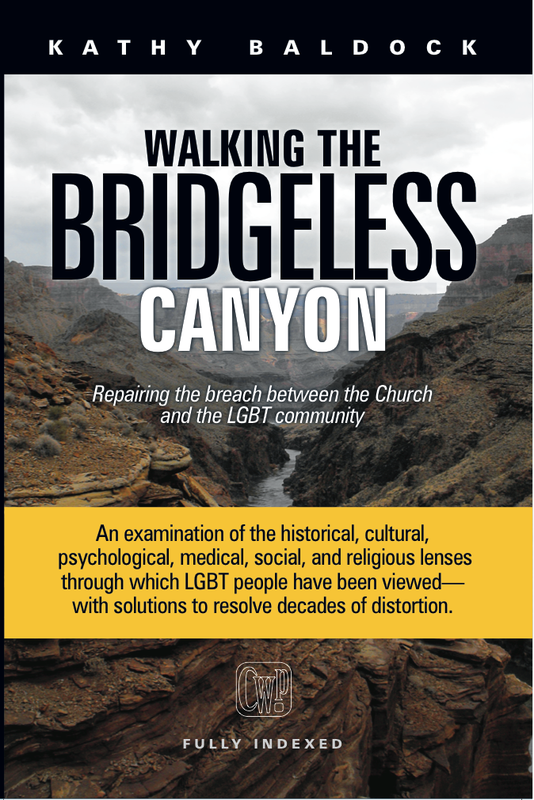 Along with financial donations, consider gifting Walking the Bridgeless Canyon — Repairing the Breach between the Church and the LGBT Community to your church library, pastor, former pastor (! 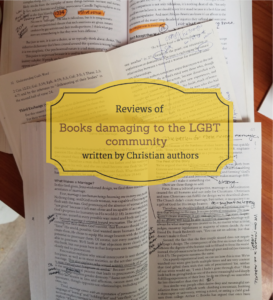 ), and/or family. 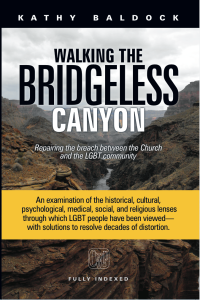 Walking the Bridgeless Canyon — Repairing the Breach between the Church and the LGBT Community is available as a hard copy or Kindle on Amazon or as a signed copy on Canyonwalker Press. 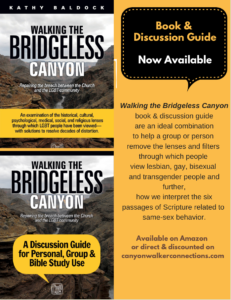 Donations can be given through Paypal to Canyonwalker Connections as a one-time donation or monthly donation.